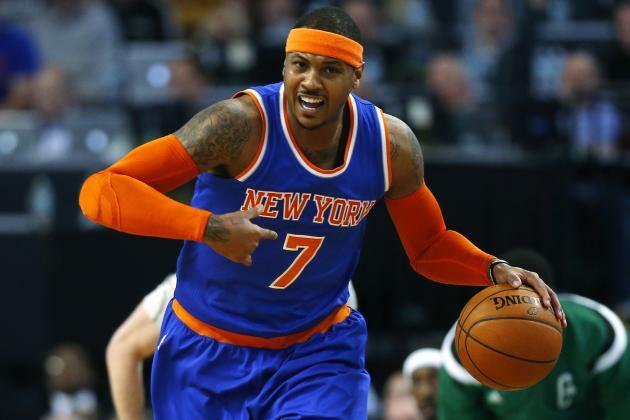 What I Learned: The problem with the Knicks isn’t Carmelo and John Wall is the Best Point Guard in the East. I’ve have had a hate/tolerate relationship with Carmelo since he came to the Knicks. There are times when he tries to be Kobe Bryant and jack up shots, instead of being more a facilitator like his greatest comparison, LeBron James. Now, with the Knicks off to their worst start in history, there have been rumblings about Melo’s wanting to leave the team. Though he has shot down the rumors, people still use this as an opportunity to attack Carmelo. To them, I say that they have not seen a Knick game or understand basketball. Carmelo is a diamond in the worst New York sewer on the hottest day in July. In the weakest division in the NBA, they are 2-4. They have only one win in the Western Conference. The great Triangle Offense, an offensive scheme that has won 11 NBA titles, have turned to four overpaid, headless chickens running with their heads cut off, while one chicken playing one-on-five against an actual NBA team. 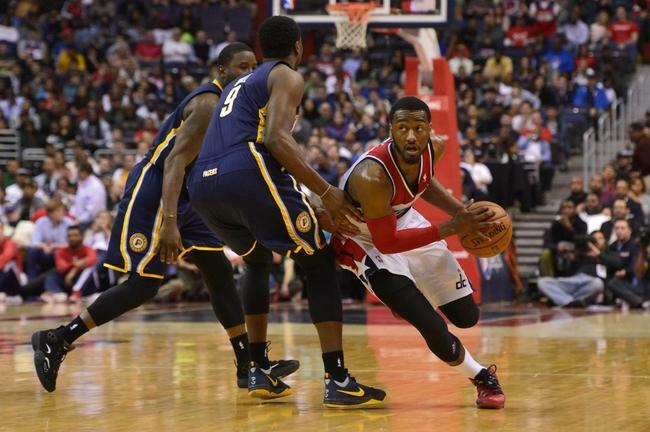 John Wall of the Washington Wizards was basically in a lay-up line for most of the game. Bradley Beal was shooting shots so open, the closest player to him was the guy who passed him the ball. But every time a ball was loose, Carmelo seemed like the Knick running after it. When there was only 4 seconds on the shot clock, it felt like players weren’t even trying to take shots. And when other Knick players did take shots, it seemed like they felt they were on rookie mode in NBA Live. Hopefully, Santa bought Carmelo some antidepressants for Christmas. The joke around the NBA about the Western Conference is that every match up is against another All Star Point Guard. From Tony Parker, Russell Westbrook, Rajon Rondo, Chris Paul, Damien Lillard, Mike Conley Jr, problem another dozen I don’t have time to name, the Western Conference All Star Team should just be a team of point guards. The joke about the Eastern Conference is that their best point guards can’t stay healthy. Derrick Rose, Kyrie Irving, and Deron Williams never seem to be 100% healthy at anytime. Then there is John Wall. If last year was the coming out year for John Wall, this year is the year that will turn him into a superstar. Aside from free throw percentage, Wall’s current numbers exceed his career average. His shooting percentage is .458 to the .429 of his career. He is second in the league in both steals and assist per game and is tied for the league lead in double-doubles (the only guard in the entire top ten). As the leader of the Wizards, his team is a game and a half out of having the best record in the East. A shoo-in for the starting PG spot on the Eastern Conference All-Star team, Wall has established himself as a legit MVP candidate. For those who follow the NBA and the San Antonio Spurs, you might have heard about their mystical “System”. A system that have allowed them to hold a consistent stretch of dominance for three decades. A system that has won them 5 NBA championships over those decades, with only two people there for all five, Coach Gregg Popovich and Hall of Famer bound Power Forward Tim Duncan. However, like for any “system” it won’t work if you don’t have the pieces to put in it. You could be the best chef in the world, but if you are given ingredients that expired, you can’t cook a great meal. 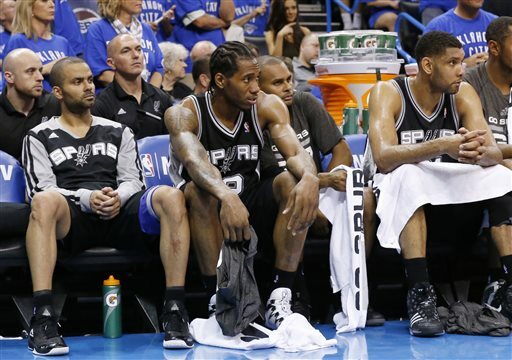 Without Kawhi Leonard or Patty Mills, the Spurs won’t be able to make it out their own state let allow the West. Leonard, who last year established himself as the league’s new young superstar and the man on the Spurs with his playoff performance, is said to be out for an unknown amount of time with a hand injury. Patty Mills, who was the spark plug off the bench, and along with Manu Ginobili, established the best bench back court in the league, has not played yet this season while he recovers from off-season shoulder surgery. With both players out, San Antonio loses their young core and their two best athletes. If they want any chance to gain a high seed in the Western Conference, the players need to return healthy as soon as possible. Prior to last year, I have rarely ever cheered for Russell Westbrook. I felt as the point guard, he was too out of control and took shots away from teammates. He and Derrick Rose are almost identical, but I have no problem when Rose takes a lot of shots for the fact that he is the number offensive option for the Bulls, while Kevin Durant is the number one option for the Thunder. Even last year, though I backed off Westbrook after the Thunder collapse in the playoffs after his injury the year before, I would still have picked other point guards over him. 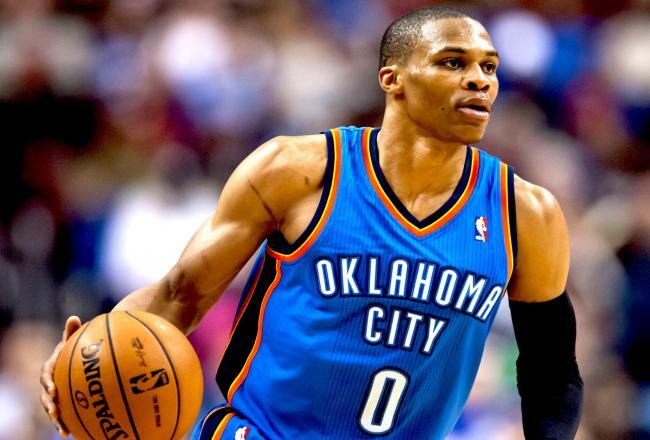 Today, if I want to start an NBA team, after Stephen Curry, I would pick Russell Westbrook. As an athlete, he is the greatest athlete ever to play the position. As a scorer, next to Stephen Curry, he is the best scoring point guard in the league. His athleticism allows him to stay with any defender, as well as get to the free throw line close to ten times a game. Against the San Antonio Spurs, he creates match-up problems for their guards. Now, with Kevin Durant out with an ankle injury, Westbrook has established himself as Superman to Durant’s Batman instead of Robin like he has been for multiple seasons. What I Learned: Time to press the panic button in Cleveland, and when healthy, Dwayne Wade is still the Best Shooting Guard in the NBA. When the Cavaliers got off to a slow start, I remembered when LeBron James and Chris Bosh joined the Miami Heat four years ago the team starting off 9-8. I thought to myself, “Be patient and they’ll figure it out”. Right on cue, the team rattled off eight streak wins to end November and begin December. However, since then, the team has gone only .500, and suffered a season ending injury to one of their most important players outside the Big 3, Anderson Varejao. 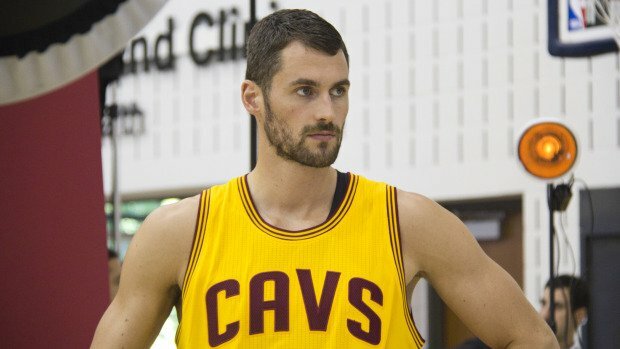 A major problem I see with the team that will hurt them is Kevin Love’s defense. As in that he is not a rim protector. A team with fast guards who can get to the basket will almost always be guaranteed two points because one of their big men doesn’t created fear like a Dwight Howard or Marc Gasol does. And with teams like the Wizards with John Wall, Derrick Rose and the Chicago Bulls, and Toronto’s duo of Kyle Lowry and DeMar DeRozan (when returns from injury), the Eastern Conference has plenty of small guards that can get to the rim. For years, Dwayne Wade has always had the “when healthy” label placed on him. Multiple knee injuries and surgeries have taken one of the league’s great guards and has limited him to some of the worst numbers of his Hall of Fame career over the past few seasons. It didn’t bother him as much because the presence and skills of LeBron James helped Wade add two more NBA titles to his resume. Now with James gone, Wade again is left as the man on the team, and so far, I forgot how good this man was! It’s easy to forget that eight years ago, in possibly the greatest performance in a single NBA Finals, Dwayne Wade almost single handily lead the Miami Heat to a championship. I’m seeing more 2006 Dwayne Wade than the 2013 version. So far this year, he is shooting over .500, almost 39% from the 3 point line, and is averaging the most points since the first year of the Miami Big 3 era with over 23 points per game. Compared to James Harden, who is only shooting .421% and .332% from the three-point line. 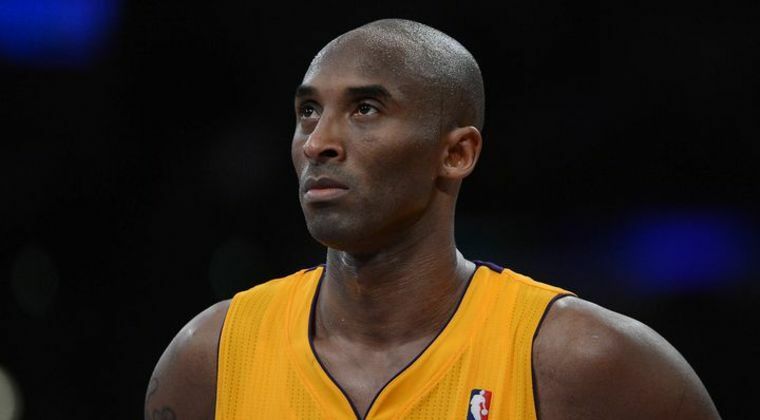 Okay, I’m cheating a little because I never thought that the Lakers’ were better with Kobe Bryant. However , since they beat the Golden State Warriors without him, people have come out the woods to criticize Kobe and credit the Lakers. Being undoubtingly the worst Lakers team I ever saw, Kobe has taken more criticism since he and Shaq were the American version of the Gallagher Brothers. This comes from his atrocious shooting percentage and an expletive filled video at practice where he compared his team to toilet paper. With a team shooting percentage of 39.1% and 31.3 from the three-point line, maybe finally we can stop hearing about the crazy suggestion that losing your best player helps your team. And to all those people who say “They beat Golden State without Kobe”, it’s called an upset folks. They happen sometimes. For the past two years, the Chicago Bulls have finished last in offense without their dynamic point guard Derrick Rose. In both playoff exits, it was clear that the team’s inability to get an easy basket. During the off-season, the Bulls signed Pau Gasol to add offense to the team, and Rose played in the FIBA Tournament to improve his skills after a two-year absence. But who would to think that the top offense weapon on the Bulls might be last first round draft pick in the 2011 NBA Draft. Jimmy Butler had spent his first two years being known as one of the many defensive stars on the Bulls and usually playing close to the entire game, averaging 38.7 minutes a game last year, and 40 minutes per game so far this year. What is really impressive about Butler this season isn’t the minute and half more he’s playing, but the 8.5 increase with points per game, going from 13.1 PPG to 21.6. If Butler keeps up with this pace and Rose’s and Gasol’s knees can keep them on the court, the Bulls are the clear favorites in the Eastern Conference. 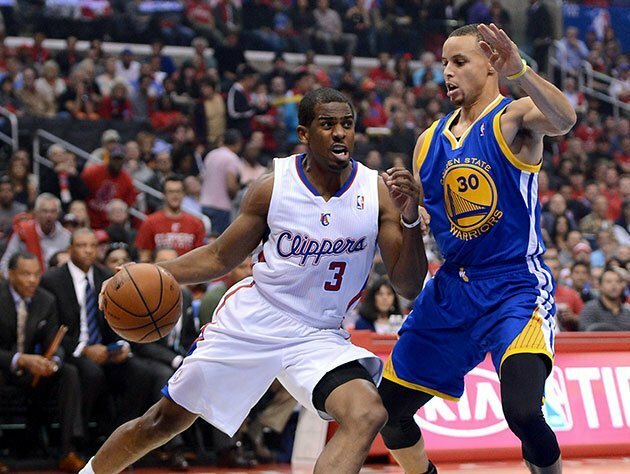 Over the past three years, the Clippers and Warriors have become the best rivalry in the NBA. The teams have some of the top players in the league and have an overall dislike for one another. I, like almost every other NBA fan, hope these teams meet in the playoffs. When it comes to learning anything, no. The Warriors are a great team, but won’t beat the Clippers with the size of Andrew Bogut and David Lee. The Clippers need Blake Griffin to be the equal or better than Chris Paul if they want to beat teams with great big men like the Spurs or the Memphis Grizzlies.